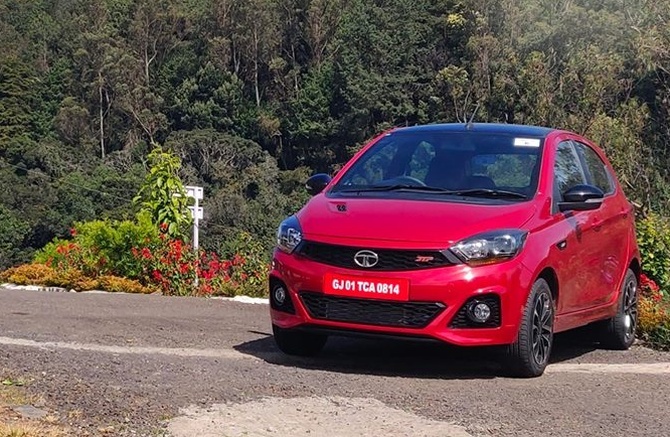 According to experts, Tata Tiago JTP and Tigor JTP -- a sedan and hatchback -- are not only powerful and faster than every other car in the segment, but also in the segment above, including their peers Maruti Baleno RS, Volkswagen Polo and others. Tata Motors and its Coimbatore-based partner Jayem Automotive have launched the Tata Tiago JTP and Tigor JTP in Coimbatore, the Manchester of Tamil Nadu. 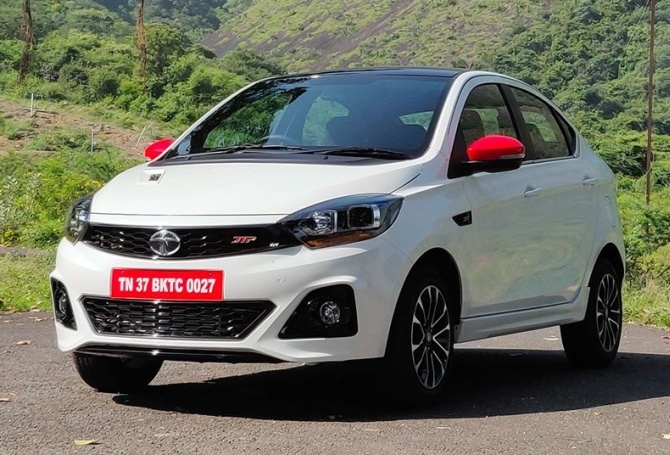 The products, a sedan and hatchback, are the sportier versions and have been developed for Tata Motors by Jayem Automotive under the joint venture JT Special Vehicles Pvt Ltd (JTSV), which targets young aspirational buyers. While the Tiago JTP is priced at Rs 6,39,000, Tigor JTP is priced at Rs 7,49,000. The president of Tata Motors' Passenger Vehicle Business Unit, Mayank Pareek, said the JTP products would have a halo effect on the Tiago and Tigor brands and they will be available only in the petrol version. The new products will be available in select 30 dealerships and the booking for them has started. While declining to comment on the investments and sales targets for these products, Pareek said globally these products accounted of 5-7 per cent of the OEM's sales and Tata would also be targeting the same kind of numbers. "It is not about sales, it is more about catching eyes. These are marketing products," said Pareek. According to experts, these cars are not only powerful and faster than every other car in the segment, but also in the segment above, including their peers Maruti Baleno RS, Volkswagen Polo and others. The size of the segment is estimated to be around 200-250 units a month. Tata Motors decided to partner with Jayem as it believes the world is moving towards more co-creation and co-collaboration. Besides, having a partner will help the company bring out the product in shorter time. These products were launched in less than one year after the JV was announced. In March 2017, JTSV, a 50:50 JV between Tata Motors and Jayem Automotives Pvt Ltd was launched to develop special performance vehicles based on the new generation products from Tata Motors' passenger vehicle stable. As part of the agreement, Tata and Jayem have worked towards the JTP range of performance vehicles. All JTP products will be based on three pillars -- enhanced engine output and performance, sporty exterior and interior design and improved driving dynamics and aural experience said Pareek. The partners will focus on the domestic market only for now, he added. The low-profile Coimbatore-based component maker had caught the attention of Ratan Tata, who has invested in Jayem. The company counts global and domestic top original equipment manufacturers such as Tata, Jaguar Land Rover, Ford, Renault Nissan, Hyundai, Hero, Bharat Benz, Bosch, TAFE, MRF, Harley Davidson, TVS, Volvo among its clients. Jayem is an R&D company involved in design, development, testing and manufacturing of a wide range of automotive components, systems and prototypes. Anand, who has won Formula-3 events four times on a Chennai track, is the third-generation entrepreneur spearheading the company, besides running J A Motorsport, a race-car manufacturing facility. He is also the cousin of India's first Formula-1 racer Narain Karthikeyan. 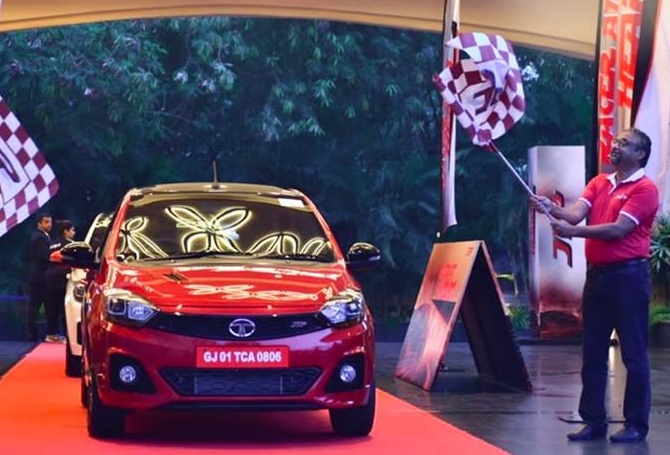 The Tiago JTP and Tigor JTP are the first two products to be launched by JTSV. Tata Motors' Sanand plant functions at 100 per cent production capacity and caters to the growing demand for Tiago and Tigor. The plant was originally opened to produce the Nano. It is only when the new Tiago and Tigor were launched that the plant started to come back to life. The company is doing around 8,000-9,000 units a year. It is from this plant that the Tata Tiago and Tigor are produced. It is believed that Tata's Sanand plant is working to full capacity, thanks to the two new cars.